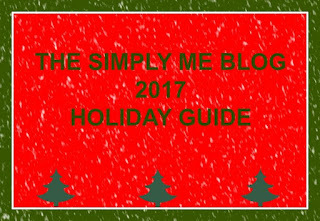 Simply Me: Uncle Milton making the holidays magical! Uncle Milton making the holidays magical! One Christmas many years ago my dad or "Santa" at the time got me my very own science set. Now I was pretty young so it was basic science stuff, but to me it was the coolest thing ever. I would play with that science set every single day, in my mind I was on my way to discovering some sort of new element that would make people fly. In reality I was putting baking soda and vinegar in a bottle and making a balloon expand. As a mom I want to give my kiddos those same kinds of gifts, one that they will play with over and over again. Or even ones where they can learn to do new tricks. Ones that allow them to use their imagination. That is why I am pretty impressed with Uncle Milton's toys this holiday season. 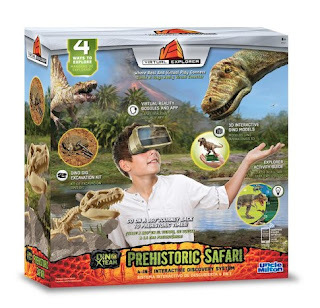 Explore dinosaurs like never before! First, excavate and build a realistic dino skeleton with the classic, hands-on Dino Digs toy. Use the activity guide with the toy for the next level of fun and learning as you also see incredible augmented reality images come to life. Discover secret codes and use them to unlock amazing virtual reality experiences. Now, go on an incredible 360° journey back to prehistoric times! VR experience requires smart phone with standard size screen (not oversized) that fits securly into the goggles. 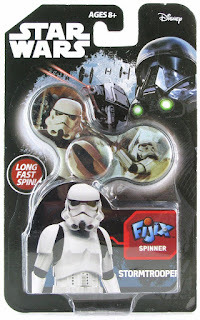 Star Wars Fijix Spinners Fijix Spinners are the perfect combination of a focus device and a fun fidget toy! Very easy to spin using two hands or take it up a level with the flick of your wrist to balance and keep it spinning in one hand. The high speed and long spin time will not only keep you focused but allow for tons of tricks. Each spin is a chance to beat your own spin time or challenge a friend! Highly collectible, each side of the spinner has different graphics of your favorite characters―R2-D2, Luke Skywalker, Princess Leia, Darth Vader, Boba Fett, and Stormtroopers. Put it in your pocket and make anytime, spin time! Ages 6+.